The Woodhouse Day Spa offers a relaxing and transformative spa experience with over 70 signature services, from hydrating facials to healing deep tissue massages to sleep treatments. Since opening its first location in Victoria, Texas, this luxury day spa has expanded with 50 locations throughout the United States. 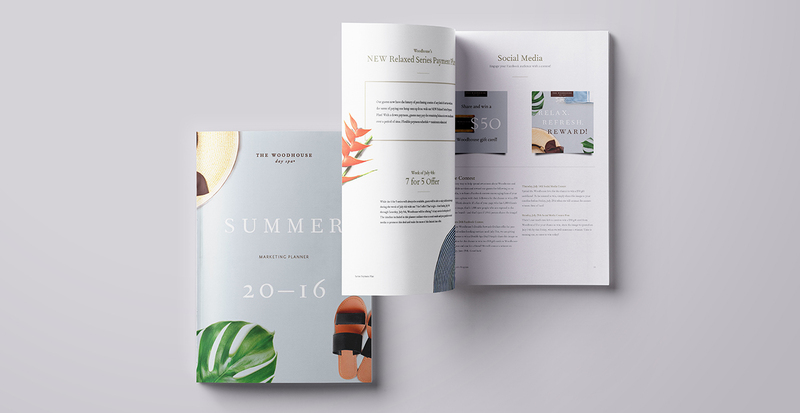 In need of a full-service agency to standardize their messaging, our team of creatives was tasked with conceptualizing and executing their yearly calendar of national marketing campaigns. In order to present a unified brand message, we created cohesive marketing campaigns, which were centered around holidays and strategically identified sales milestones. Last summer, we launched the “Relax. Refresh. Reward!” campaign, which focused on The Woodhouse Day Spa’s revitalized rewards program, a way to usher in summer savings for loyal guests. In August, we introduced the “Ready. Set. 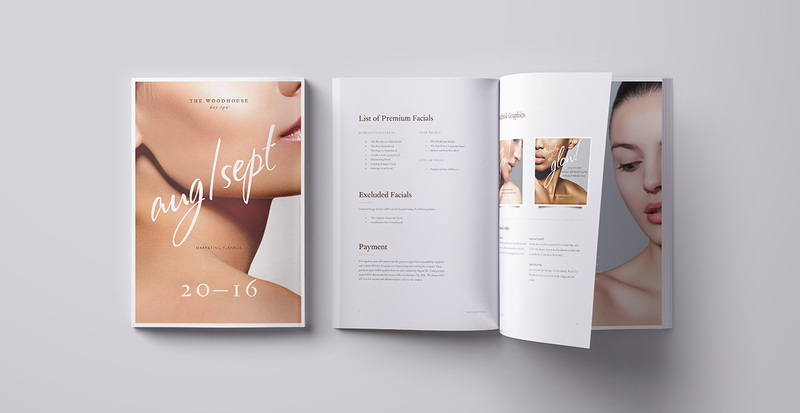 Glow!” campaign, which highlighted ways to maintain and enhance a summer glow through booking a signature service. 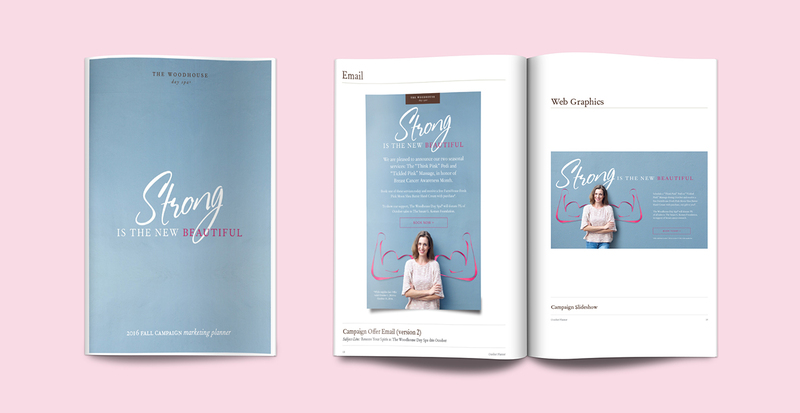 This campaign also featured corporate partnerships with renowned skincare brands SkinCeuticals, VOYA, and Lifeline. 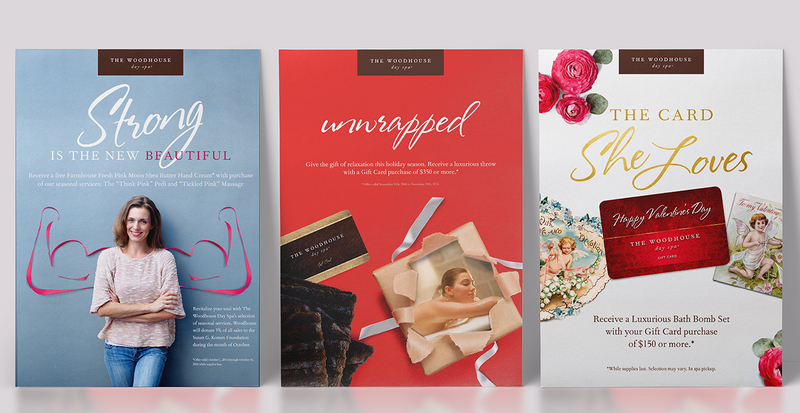 With every campaign, we begin by delivering an overarching concept, gaining inspiration from a multitude of mediums. 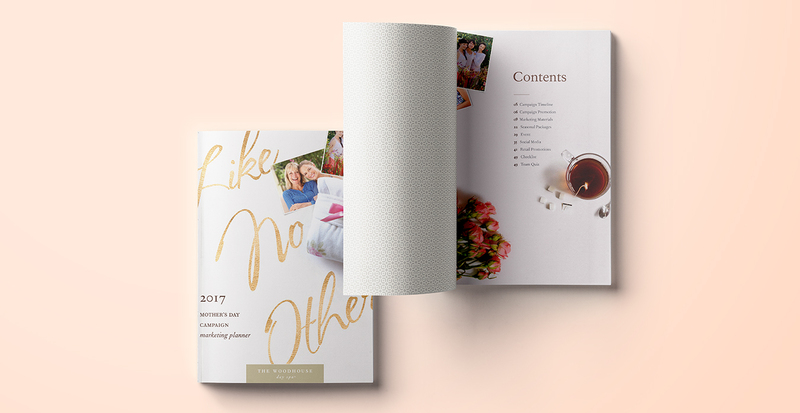 We then create a 50+ page planner, which includes all campaign collateral, a campaign timeline, email program assets, social media and digital graphics, as well as a steps for success document. Each planner is then distributed to all of the franchise locations. "Last summer, we launched the “Relax. Refresh. Reward!” campaign, which focused on The Woodhouse Day Spa’s revitalized rewards program, a way to usher in summer savings for loyal guests." 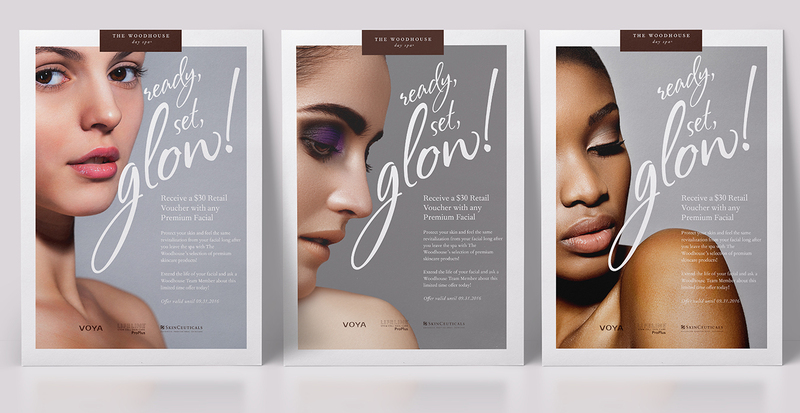 Since beginning our work with The Woodhouse Day Spa, our team has created multiple success marketing campaigns, which not only boosted brand awareness but resonated with their target market and increased sales by 30%.